Hex MySkoolApp, user-friendly Web and Mobile based school management software and ERP system that focuses on next-generation worldwide education ERP solutions. Hex MySkoolApp is a complete one-stop-destination product for all the needs of basic and higher education sector in different academic settings. Hex MySkoolApp changes education management done in schools by bringing a futuristic SMART solution on to mobile screens and computer monitors. Hex MySkoolApp is also a SMART communication tool, which brings on a common footing for school, parents, and students. Hex Technologies Private Limited is a leading Software company specialized in providing Effective, Innovative, Qualitative, & Productive Software Solutions for all user categories e.g. Academic/Industrial establishments, Digital media and Broadcasting Industry, Bus Transport Companies, Hospitality Industry etc. We have expertise in web designing, ERP solutions, and mobile app development. We promise to provide complete solutions in terms of the IT proficiency as per client’s requirements. Get instant access to students's details with an easy search option. Schools/institutes can manage student and parents/guardian details easily with view and edit option. An effective feature of mySkoolApp™, which makes the admission process easy, faster and paperless using online admission form. It helps to have a clear visibility on student. Smart messaging system of mySkoolApp brings inbuilt effective and productive way of communication. Modern two-way engagement of teachers, admins, students and parents. Online exam and result management modules make teacher & admin staff more easier and productive. Manage examination flow, publish results and report card online. Intuitive, productive and well designed employee management module for recruitment, payroll, attendance & leave management etc. Web based HR smart solution. Effective. No hassle to maintain the paper registers each month, now teachers can take roll call on SMART device/Phone. Real time update to parents mobile. A modern and effective way of managing hostel facilities online at your campus. This module is fully equipped with rooms allocations/de-allocations, buildings & rooms manage. Our intelligent time table module will help you to schedule your school planning efficiently. It is very easy and simple to manage, you can easily create time slots. Q. Who can use Hex MySkoolApp? Hex MySkoolApp is a solution for all types and all size of academic establishments . Full time School, Colleges and Universities can use Hex MySkoolApp as well as very much suitable to part time / afternoon academies. Q. What is Hex MySkoolApp? Hex MySkoolApp is an advanced next generation School / College Management Software based on cloud technology with web and mobile app unique login. MySkoolApp is complete all-in-one school/college management solution to run their daily operations and drive comprehensive e-communication between staff & with parents. 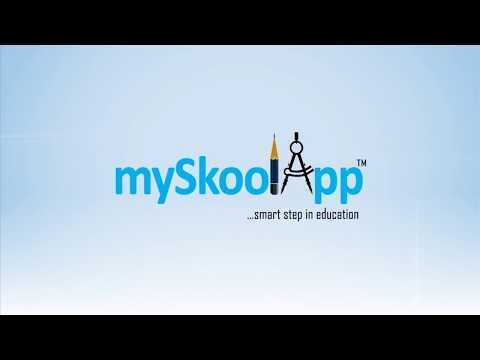 MySkoolApp comes as fresh gust of air, with a promise to usher in Smart Technology in all attributes of 21st education. It opens a wide vistas that will change education management is done in Schools / Colleges by bringing a futuristic SMART solution on to mobile touch screens and computer monitors. Q. Who can login to Hex MySkoolApp? Hex MySkoolApp has been developed keeping in mind all user types attached with school one or another way. There is login for Chairman to manage multiple institutes, Principal, Teachers, Accounts, Librarian, Transportation officer, Other school Staff, Parents and Students. Q. As a Parents How Hex MySkoolApp Works? Q. 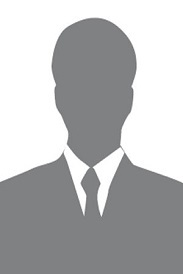 How to use as a Director / CEO or School Staff? They were very helpful and professional. They responded right away after I contacted them via their website. Had access to many software packages I had never heard of! Already had a demo with one of their recommendations and that was also handled very well. Would use them again. Excellent service. Very trustworthy software at lowest cost. Highly recommended. Easy to use websites and they respond quickly to any questions you may have.